“The biggest edge I live on is directing. That’s the most scary, dangerous thing you can do in your life” (Tony Scott, 1995). With the most tragic death of a great director/producer, Tony Scott, I thought I would pay a tribute and briefly outline his early biography, as well as comment on some of his most memorable films. Tony Scott was born in North Shields (a town on the north bank of the River Tyne), North East England, and grew up in Stockton-on-Tees. He attended London’s Royal College of Art, and then directed numerous TV advertisements, before directing his first film ‘The Hunger’ (1983), which was met with critical disappointment. His first big box office success came with the release of ‘Top Gun’ (1986) three years later, starring Tom Cruise. Achieving this, he became the first of Scott brothers to enjoy blockbuster success. After ‘Top Gun’, Scott called the shots, directing fun films like ‘Beverly Hills Cop II’ (1987), Tarantino-scripted ‘True Romance’ (1993) and ‘The Fan’ (1996). “I feel the need…the need for speed“. Without any doubt, this is Tony Scott’s most famous film, which became the highest grossing film of 1986, starring Tom Cruise and Kelly McGillis, and featuring great pop songs, such as Kenny Loggins’ “Danger Zone” and Berlin’s “Take My Breath Away“. ‘True Romance’ is a great action film, starring Christian Slater and Patricia Arquette, and based on the script by Mr. Nobody-Knows-Me-Yet-But-Wait Quentin Tarantino. It also features Gary Oldman, Brad Pitt and Samuel L. Jackson. Reminiscing ‘The Hunt for Red October’ (1990), this action thriller stars Gene Hackman and Denzel Washington. And, yes – the best lines of the dialogue here are actually written by Quentin Tarantino. “The only privacy left is inside of your head”. Now reminiscing John Grisham, this action thriller stars Gene Hackman and Will Smith, and is actually pretty good. It would have been another of Tom Cruise’s features if he were not still acting naughty in Stanley Kubrick’s ‘Eyes Wide Shut’ (1999). 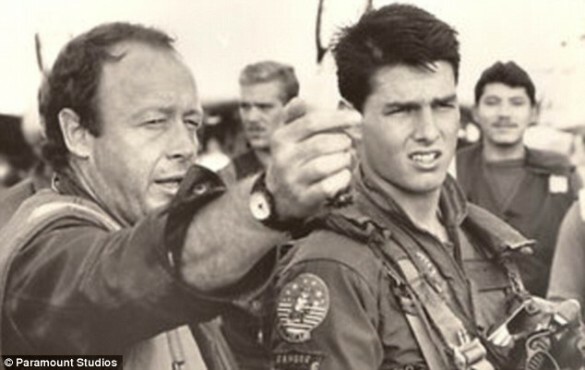 Tony Scott directed and produced some of the best-known films in Hollywood. His success, talent and enthusiasm will always be remembered. Sad, sad story. Lot’s of good movies were directed, produced, or influenced my Scott.